He of the shining silver buttocks salutes you... with his shining silver buttocks! Welcome, acolyte! You seek the blessings of the Polished Primate? Then seek no further - you have found your banana-scented goal! Behold!! Is he not glorious? Does he not make you weep at his blinding silver visage? You bet your shiny buttocks he does! 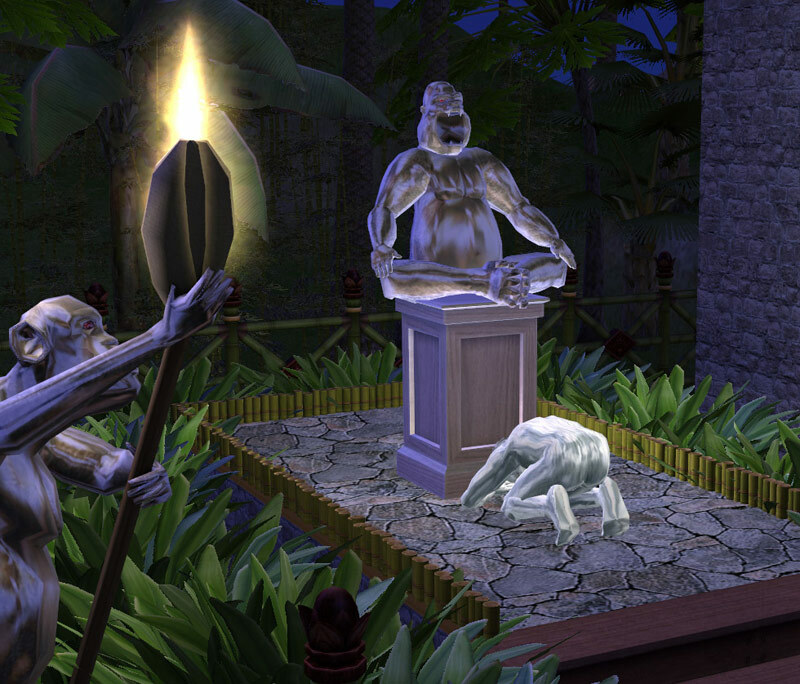 This terrifying, yet inspiring statue can be yours for the extremely affordable price of only 1337 simoleons - for this number is blessed of He Who Shrieks At Dawn. Your pixel acolytes may bow down to his stunning visage in homage to his greatness... and they will receive his blessing in return, completely filling all of their needs. The Great Silver Monkey is both wise, AND powerful! Worship him, and you will be rewarded! 519 people have said thanks to HystericalParoxysm for this download.